Whether you’re a weekend warrior or do a daily workout, cannabis can provide a boost to your body. Advocates say a small dose of cannabis can improve your workout, focus, lessen aches and pains after the workout and provide relief from chronic pain caused by injuries. Famous athletes already have espoused the benefits of marijuana. Triathlete Clifford Drusinsky uses THC before his workouts four to six times a week, according to Men’s Journal. Former NFL players such as Joe Montana, Franco Harris and Ricky Williams have advocated the use of cannabis for athletes and in some cases started their own marijuana companies. Both professional and amateur athletes have increased the use of marijuana in sports medicine. And as pointed out in the Huffington Post, using marijuana certainly didn’t slow down one of the greatest Olympians of all time, Michael Phelps. Cyclist Roger Boyd made a point of letting everyone know that while cycling about 19,000 miles around the globe in two years, he did much of it will using marijuana. “I’m perfectly lucid and safe when I ride – it just helps me eat up the miles,” he told The Daily Star. Most people don’t associate cannabis with someone staying fit and healthy, but marijuana advocates have changed that image in recent years. Perhaps the biggest example is the 420 Games, held in cities around the country every year. The games feature athletic competitions and have become a huge event for those who advocate marijuana use in tandem with good health. Of course, “marijuana use” doesn’t mean overindulgence. Even those who use cannabis for workouts warn that beginners should start with very small amounts and see how it impacts them. Safety should be the priority. For pre-workouts, a small amount of marijuana can give the same focus and burst of energy that happens when you get a “runner’s high” and endorphins are released. Cannabis can offer a similar feeling, helping you push through a tough workout. Post-workout, advocates say that marijuana helps reduce muscle inflammation and the aches and pains that can come from working out. Some athletes and those who run or workout prefer using CBD, a naturally occurring chemical in marijuana that does not cause the high feeling. CBD products can improve your workout in many ways. Some focus on pain relief and relaxation. Others treat nausea and feelings of anxiety. For those who work out and want to lose weight, advocates say that CBD can control appetite, provide relief from muscle aches and pains, and offer a boost of energy without the “jitters” that some high energy drinks cause. 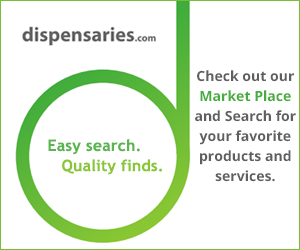 CBD products come in many forms, including edibles, water, lotions and oils.